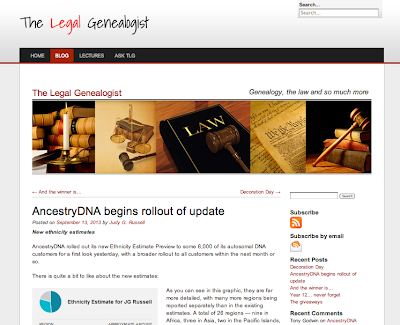 This blog article by The Legal Genealogist was brought to my attention by our Hellenic Genealogy Geek friend Venus Corlew-Bubeck. Thanks Venus. 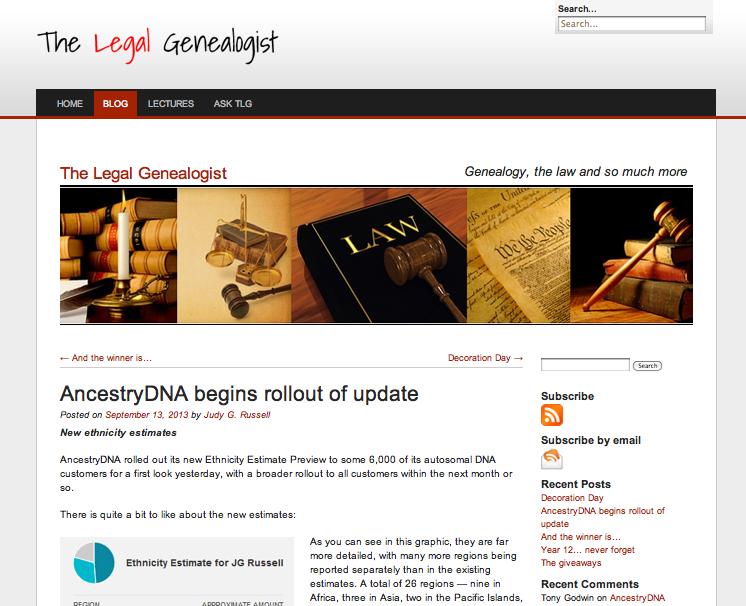 "AncestryDNA rolled out its new Ethnicity Estimate Preview to some 6,000 of its autosomal DNA customers for a first look yesterday, with a broader rollout to all customers within the next month or so." "One regional breakdown of particular use to African Americans is the division of West Africa into six regions ..... Another genealogy useful breakdown is that of the British Isles ..... Yet another is the division of Southern Europe to separate the Iberian peninsula from Italy and Greece."